Managing your finances as a freelance writer can be a daunting task — a fact I discovered shortly after launching my career at the start of 2017. Writing, your specialty, brings in the income, but how you handle your finances is like laying your freelance foundation. “I hate that we say ‘going freelance,’ because what you’re really doing is starting a freelance business,” says Paulette Perhach. And she’s right. Freelancing is a business and it’s important for you to handle your freelance finances like a business owner. Here’s what I learned, and how you can handle your finances in a way that supports your business. It’s important to think about how clients pay you and where their money ends up. Start by considering which payment method makes the most sense for how you choose to run your business. Bear in mind that some clients may prefer one method over another, so you’d be wise to make use of a few different payment platforms. For instance, over 132 billion dollars were processed through PayPal in quarter one of 2018. The platform itself is simple enough to invoice your clients and receive payment, and doesn’t require them to register an account. As with most online payment processors, PayPal charges you a nominal fee for each payment received. Other similar platforms include Wave, Bill.com, and Stripe (used by nDash). Some invoice and accounting software will also allow you to invoice and receive payments from your clients. Choose a payment method that’s easy for you to bill your clients and simple and convenient for clients to pay you. Unless you’ve owned a business in the past, it’s likely you’ve only ever had a personal bank account. A personal bank account can serve freelancers just as well, but requires you to be on your game. Why? Well, a personal bank account alone is home to all of your transactions — there’s nothing to distinguish a personal transaction from business income or expenses. It can get messy. Now I know which transactions are personal and which are business-related, but it’s still not an ideal setup. If the IRS were to audit me, the process could be time-consuming. And where there’s a mess, there’s potential for errors and misunderstanding. A business bank account helps you to more easily track freelance income and expenses. It’s also much more convenient to track how much you’ve paid contractors you’ve hired, such as graphic designers or editors. It’s also easier to pay yourself a salary when your bank accounts are separate, once your freelance income has grown to a sufficient level. You can transfer a specific amount of money from your business account to your personal account each week or month, leaving the rest of your business funds for any freelance-related expenses or side hustles. It’ll also be much easier to establish a personal budget when you know — exactly — what your “personal” income is. Whether you use one bank account that looks as insane as mine, or you’ve divided transactions between personal and business accounts, you still need to track your finances. By doing so, you’ll also learn to understand them. As soon as I receive the notification that a client has paid an invoice, I enter the transaction into QuickBooks. This ensures I won’t forget to do so later on. It also saves me from future headaches when tax time rolls around. Over time, you’ll start to recognize patterns and come to realizations about your cash-flow. If you have plenty of clients but little income, that’s a good indicator to revisit and tweak your rates. Each month, you should set aside 25 to 30 percent of your income to cover taxes. Failing to pay your quarterly estimated taxes may result in a penalty at tax time. Luckily, most accounting software will help you calculate your payment. Once you’ve begun tracking your finances, you can then begin to identify your business expenses. What’s it matter, right? Well, at tax time, some of your expenses may qualify for a tax deduction. Not every expense will result in a write-off, but it’s important to track them regardless. If you have a home office or area of your home dedicated to your business, you can write off a portion of your mortgage or rent. Things like web hosting, domain registration and renewal, business cards, and travel also qualify as tax deductions. Did you buy Facebook ads to market your services? Guess what? Tax deduction! Tracking and identifying your business expenses will save you cash at tax time — or at least reduce your tax obligation. Every dollar counts, especially when you’re a newer freelance writer. It’s easy to burn through your savings quickly, so you need to make the most of your freelance income. That means holding off on expense freelance writing courses. While some courses and training products are certainly worth the cost (eventually), all the information about beginning a freelance career is available for free. You’re better off joining Facebook and LinkedIn writers’ groups and befriending fellow freelancers on social media. You can learn a lot from both avenues without spending a dime. That’s it. Freelance writing has very little overhead, unlike a traditional small business. Though I’m now more established as a freelancer, my overhead still isn’t even close to $100 per month. Once you’ve solidified your income, it may then make sense to purchase a course for a deep-dive into an aspect of freelancing you’re not too familiar with, or to subscribe to paid services (like accounting software, social media management, or web/graphic design). How much do you pay for your cell phone plan? Your home internet speed? Car insurance? Entertainment? These are all areas where you can reduce your personal expenses to make your freelance income truly count — especially when you’re still starting out. I reduced my monthly expenditures substantially by lowering my phone’s data plan and canceling services like Netflix and Spotify Premium (as much as I didn’t want to). I was “lucky enough” for an unfortunate car accident to get me out of a car lease. I stopped buying games and quit drinking to save every extra dollar I possibly could. With fewer monthly expenses, I was able to focus better on my business without worrying as much about paying my remaining bills. Many freelance writers begin their careers with content mills before or while branching out to cold emailing, referrals, and organic client acquisition. If you use a content mill, pay attention to its fee structure. Many will charge you a fee of 10 to even 35 percent. Such fees can have a significant impact on your bottom line. While some jobs may be lucrative enough to where you’re comfortable absorbing the fee, it’s still lost income. Platforms like nDash negate this loss of income and provide a totally-free method for writers to earn income without paying a fee. Payment platforms such as PayPal or Wave charge fees based on the method of payment. Fees for payments made via credit card are often slightly higher than those made by bank transfer, for instance. Losing a client is never a good feeling. It’s also an inevitably. Clients come and go for any number of reasons. They may be changing their content marketing strategy, run out of money, or downright dislike you. It happens. And when it does, you need to be prepared for the reduction to your income. If you have only a few clients, losing one may jeopardize your ability to pay your rent on time. You need to counteract this terror by planning in advance before any work dries up. When starting out, you’re best-served by living well below your means for a while. Direct some of your earnings into an emergency fund that will tide you over until you can replace any lost clients. It’s also why minimizing your expenses is so important until your income can comfortably sustain optional costs. Maintaining sufficient savings will keep you afloat through a dry period. The buffer provided by a month or two worth of savings will protect your sanity while you prospect for new clients and rebuild your income. Dry spells are no excuse to get lax with your business, either. Downtime should be used to market yourself. Establish and build upon your portfolio and online presence and pitch your services and ideas to clients you’d like to work with. A platform like nDash removes the “cold” part of cold pitching by connecting you with companies actively seeking to hire freelance writers. How Do You Handle Your Finances as a Freelance Writer? The previous tips are all ways I emerged relatively unscathed from my first year freelancing (other than the car crash — oops). My method for handling my finances has allowed me to focus almost fully on growing my business. In fact, by April of this year, I had already surpassed last year’s total earnings. But everyone’s financial situation is different — as is everyone’s financial comfort level. So feel free to share any additional advice you might have in the comments below! 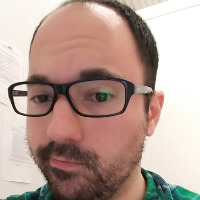 Editor’s note: Daniel Mattia is a freelance content writer living in New England with a cat he’s affectionately deemed his “office manager.” He’s written extensively about insuretech, finance, startups, solopreneurs, and small businesses. To learn more about Dan or inquire about hiring him, take a look at his nDash profile.